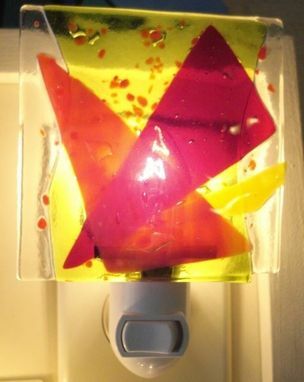 Bedrooms, bathrooms, dens, living rooms, etceteraﾃ Almost any space in your home can play host to this calming abstract nightlight that I personally handmade. 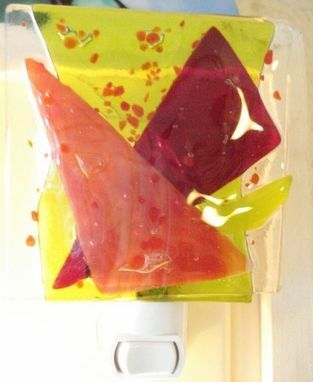 I placed various colors of glass on a mostly one-color base, and fused these in the kiln. Contact me if you want one just like this, or have one made according to your specifications. Shapes and colors of the inlays and base can be anything you want! 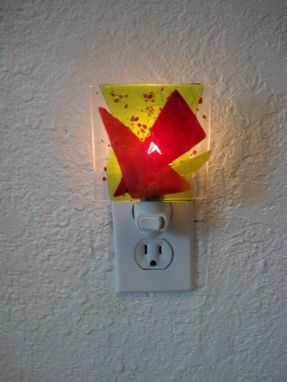 The nightlight measures 4'' x 3'', overall.